Note: सिर्फ़ हिन्दी और गुजराती कविताए पढ़ी जाएँगी. यह मौका सिर्फ़ 10 लोगों को ही दिया जाएगा इसीलिए जल्द ही अपना नाम रिजिस्टर कर दे. 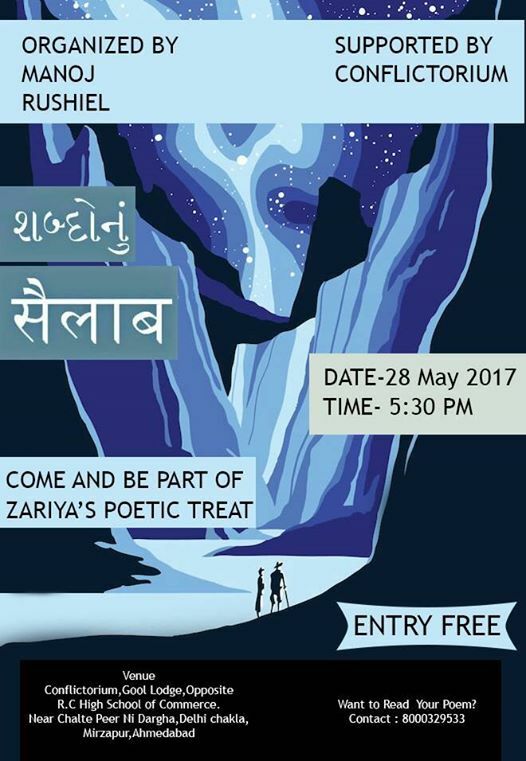 શબ્દોનું सैलाब Presents you a whole new stage for all new poets out there. surprise all with your Hindi and Gujrati pieces. The stage allows only 10 artists for now. so, come up with the best of your metrical compositions.